Sesame Street's favorite furry red cowpoke saddles up to learn all about the wild frontier. Join Elmo as he finds out how to ride a horse, kicks up his heels at a hoe down, boards a time-traveling magic stagecoach and more! Featuring classic cowpoke songs, and plenty of fun with his partners the Noodles, Marshall Grover and special guests, country singer Travis Tritt and Broadway's Kristen Chenoweth. 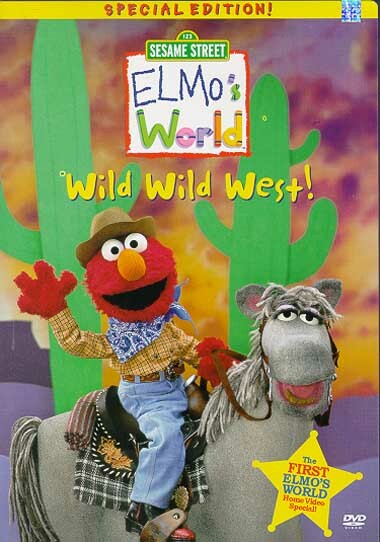 Elmo takes viewers young and old on a wonderful ride through the very best of the Wild Wild West!